Relax: Sydney's Newport Arms Hotel. Some days, it seems impossible to keep everyone happy. 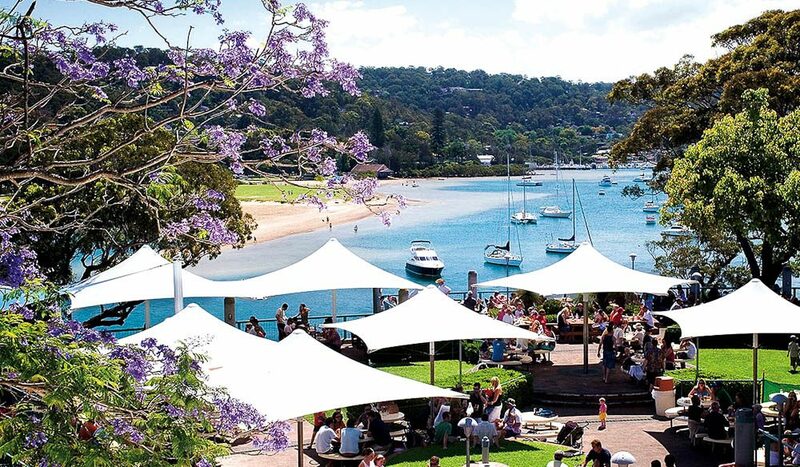 On those days, we suggest making a beeline for one of our proudest traditions: the great Aussie beer garden. The best family-friendly ones have facilities, playgrounds or entertainment to keep the kids occupied while mum and dad take a breather or catch up with friends over an icy-cold beer or bottle of wine. There’s a wonderful conviviality that hums in the air of a great beer garden in the summertime, and particularly those blessed with a prime coastal position. Fresh seafood and kids’ menus round out an easy-peasy, crowd-pleasing option. Newport Arms Hotel, Newport, NSW A big beer garden with water views over Pittwater inSydney’s northern beaches, two playgrounds and a restaurant. Portsea Hotel, Portsea, Vic This Mornington Peninsula landmark overlooks the Portsea Pier and has a half-acre beer garden, from which the kids can look out for dolphins. Eagle Bay Brewing Co, Dunsborough, WA This boutique brewery, vineyard and restaurant has panoramic views out to Bunker Bay and the Cape Naturaliste lighthouse. Beach Hotel, Byron Bay, NSW With the ocean just across the road, the popular Beach Hotel is perfect for sundowners while the kids run around on the grass.